Ships tomorrow if you order in the next 17 hours 43 minutes. 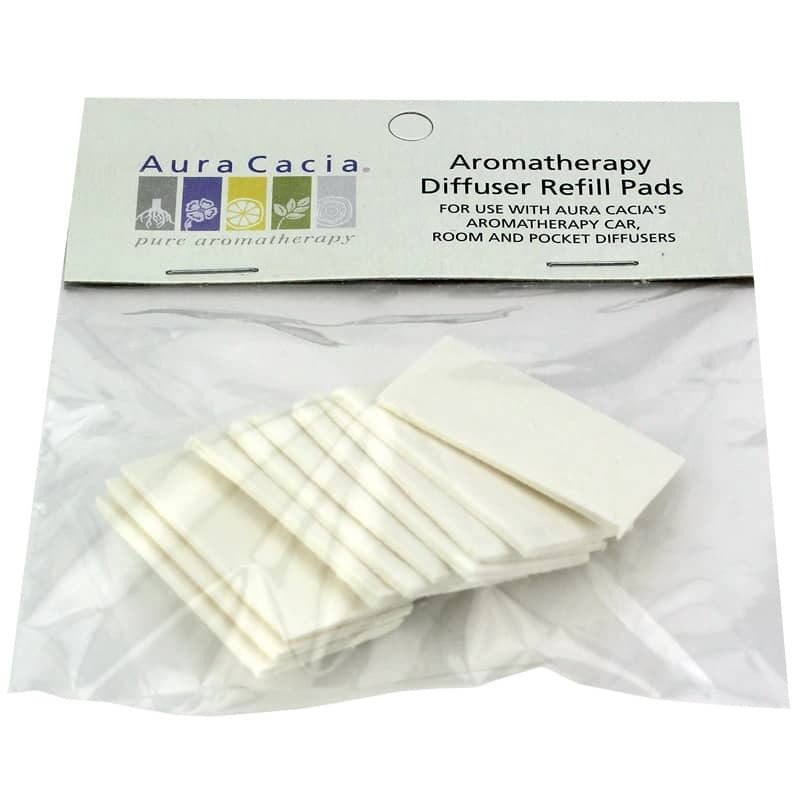 Aromatherapy Portable Diffuser Refill pads are for use with Aura Cacias Aromatherapy car, room and pocket diffusers. For use with Aura Cacias Aromatherapy car, room and pocket diffusers. Avoid direct contact with saturated diffuser pads to prevent possible skin irritation. do not allow saturated diffuser pads to come in to contact with interior surfaces. I was disappointed when I received the picture looked like full size and they are small size don't fit in diffuser.